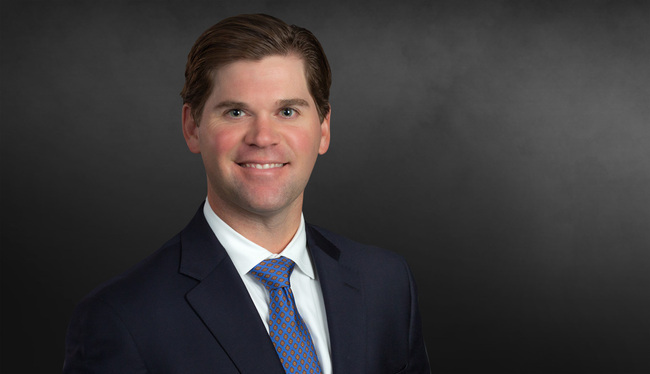 Derick Cooper represents national corporations in high-stakes cases involving millions of dollars of liability exposure and smaller businesses requiring creative techniques for resolving litigation disputes. While a member of the state bars of Georgia and Florida, Derick has a national practice and has defended lawsuits involving serious injury and wrongful death throughout the United States. Derick focuses on the defense of catastrophic tort, transportation, premises liability, product liability and professional liability claims. Obtained jury trial defense verdict in a wrongful death case involving a trucking accident and a child fatality. Obtained jury trial defense verdict in premises liability action where plaintiff’s pre-trial demand was $1.7 million. Obtained bench trial defense verdict in favor of an apartment complex in a premises liability case where plaintiff was seeking damages in excess of $950,000. Assisted in successful defense of aerial lift manufacturer against claims of defective design, defective manufacturing and failure to warn. Assisted in successful defense of regional transportation company in action involving catastrophic injuries. Assisted in successful defense of national industrial tractor manufacturer in action involving claims of defective design, defective manufacturing, breach of warranty and failure to warn. Currently assisting in defense of national retailer in premises liability litigation arising from third party criminal activity. Currently assisting in defense of an industrial machinery manufacturer against various product liability claims involving catastrophic injury. Assisted in defense of a national trucking company in transportation litigation involving catastrophic injury. Assisted in defense of fraternal organizations in actions involving negligence and intentional tort claims against fraternity chapters. "Traumatic Brain Injury Litigation: Update and Insights on Trends, Damages, Exposure and Strategy," presentation, Atlanta CPCU, Atlanta, GA, August 18, 2017. "Top Ten Product Liability Litigation Pitfalls," presentation, Association of Equipment Manufacturers, Chicago, IL, April 21, 2016.